Vons also validates parking for guests who park in the public parking lot west of the restaurant. Please bring in your licence plate number for validation. There is additional paid parking in the Shoppers Drug Mart lot just west of us and there is paid parking underground across the street from us. Vons pastry chef can prepare cakes for birthdays. Please contact the restaurant for details. Minimum 72 hours notice. We do not allow outside cakes into the restaurant. 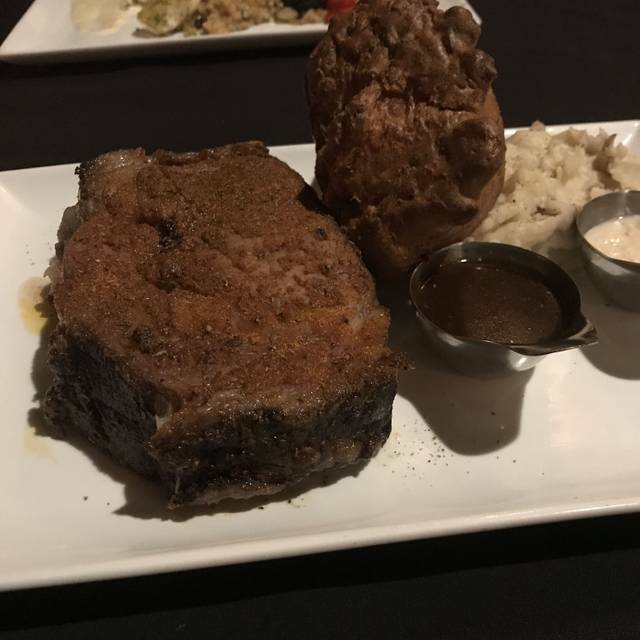 Vons Steakhouse & Oyster Bar is locally owned and has been proudly serving Edmonton the highest quality of beef and seafood available since 1988. Featuring a premium dining room, three private dining rooms and a premium casual lounge with exposed brick, New York style 30 foot bar and oyster bar this restaurant has something for everyone. Happy Hour from Monday to Friday starts at 430 p.m.- 630 p.m. We serve our full menu in both the restaurant and oyster bar areas. 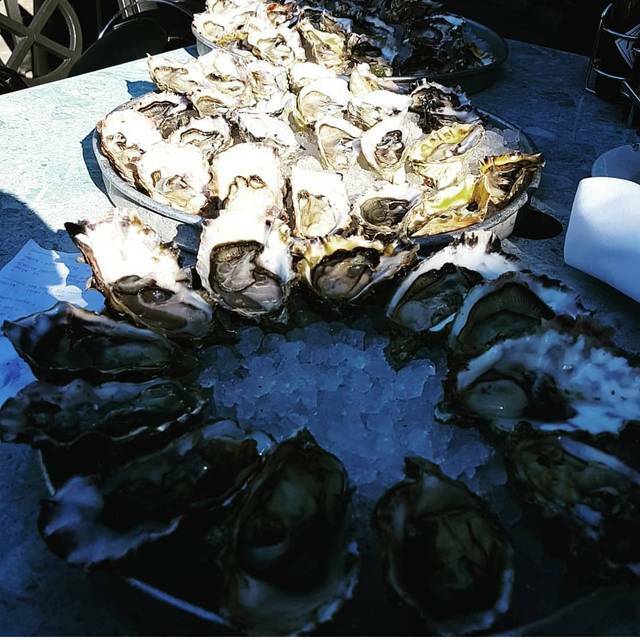 Our Oyster bar generally features over 15 varieties of oysters are are shucked to order right in front of you by our bar chefs. We offer 30 wines by a glass with specific attention to Pacific Rim and Canadian Wines. 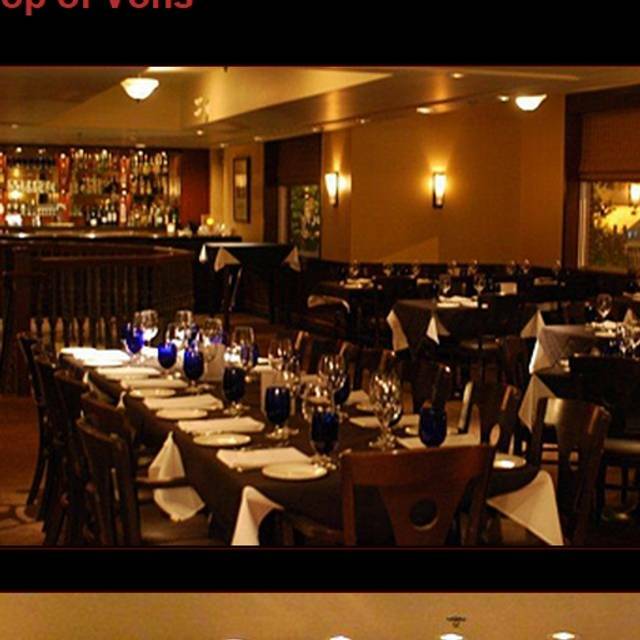 At Vons Steak House & Oyster Bar we know how important special occasions are to our guests. 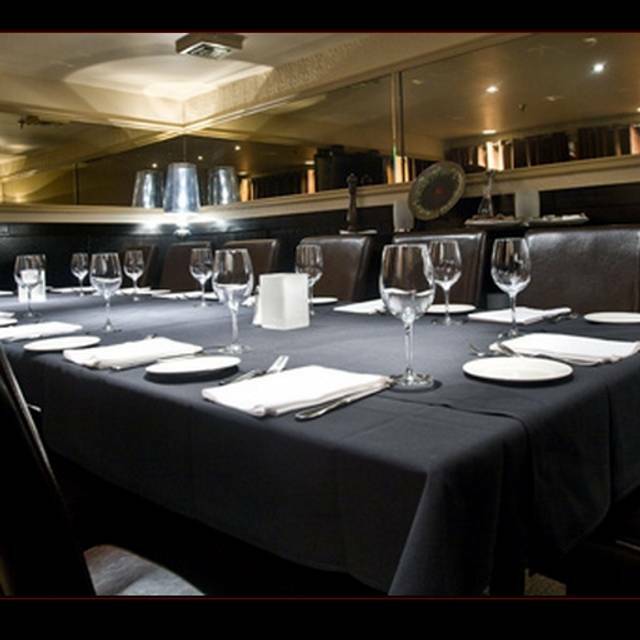 Vons is the perfect venue for birthday celebrations, wedding receptions, engagement parties, corporate meetings, breakfast meetings, business lunches and social gatherings. often referred to as the "King of Steaks"
Nice restaurant. Food good. We for Dad’s 77 Birthday celebrations. Others around were given starlight and cake. Dad got nothing. It would have been nice for our sever to also bring starlight and cake to celebrate his special date. Why ask for our reason for attending that restaurant, if our reason was not celebrated by the restaurant? Everything exceeded our expectations! Great food and service. Will come back very soon! Best dining experience I’ve ever had! Great service and even better food. I like the lounge ambiance here. Food was pretty salty and not enough seafood entrees for my liking. My husband liked his prime rib. Also a good place for fresh oysters! I enjoy Vons. The oysters are superb! This time the service was odd. The waitstaff seemed very amateur. Fumbling, stumbling. I’ve never experienced this at Vons before. Inexperienced, uneducated in terms of the menu etc. A little pushy. But the food was good, the usual Vons experience in that regard. A step back in time to quiet dining. How nice to have the ambiance and no loud music to spoil the conversation. The food and service are always great. My only negative is that I believe their wine list is over priced. For the price, it was very disappointing. It was cold inside, kept my jacket on. The server was overworked serving both dining room and lounge so we felt bad for her as it wasn't her fault for the poor service. Food was okay nothing special for the price. I was pretty disappointed and I'm not the one to send food back but my steak was over cooked as well. 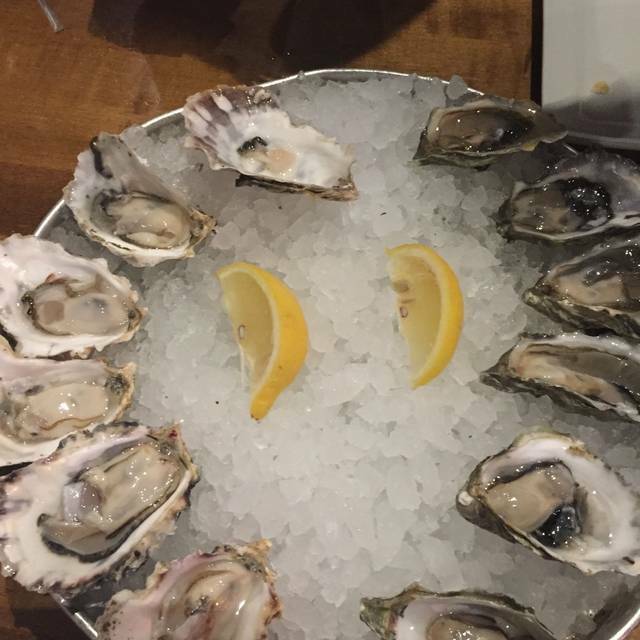 This was our second visit to Von's and we came for a dinner to catch oyster happy hour. From the beginning, our server was kind of rushed. She immediately asked us if we were getting oysters, to which we said yes. She just gave us the menu and wanted us to quickly order. There were many options to choose from, which is great, but at the same time overwhelming. She didn't really attempt to explain any of the options or asked what do we usually prefer, etc. Also, whoever was shucking those oysters, really needs to try a little harder to keep the shell out of them. There was SO MUCH shell in our oysters, worst ever. Our server, of course, didn't really ask anything about that. We were planning on getting dinner there too, however, our server seemed pretty motivated to get us out of there, so we settled with oysters and appies and moved on to a different place. In the end, I found it rather funny that their tipping options on credit card machine started with 18%. I gave it, but it was not deserved. Also, it was a bit disappointing to see a buck a shuck becoming 'almost' buck a shuck. 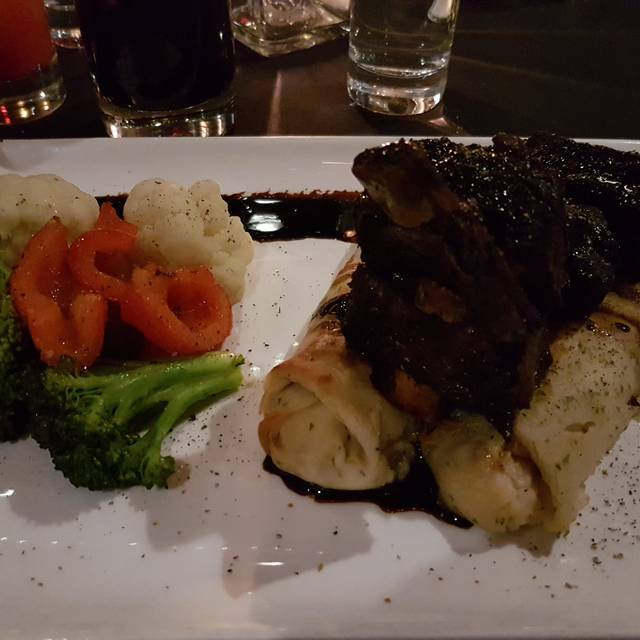 Overall, the food was good, but service average at best. It is unlikely that we will be returning in the future. Von's seems to have gone downhill. I haven't eaten there in a couple years but this week I took a business associate there for dinner. We ordered cocktails but were informed that the bar was out of whisky (really! )...so an alternate cocktail was offered but it was not very good. The New York steaks we ordered were thin and a bit tough, though they were correctly cooked at medium well and medium rare. The baked potato was poor quality, tasted old. Overall very disappointing evening. The waiter was friendly and attentive. Mussels were not fresh, dinner, steak and chicken, was served cold. Service was still good, it wasn’t her fault. A group of us dined here last weekend for a friends birthday. First of all the service was less than desirable. We asked about the caviar, which the server said came with “cream frayze” and some sort of pancakes... First of all if you’re offering a $100 caviar appetizer at least educate your staff on the correct terms. When the caviar did arrive it was served with shredded carrot, sour cream and some pieces of toast. The worst part of all the caviar was served in a stainless steel ramekin and we were expected to use our stainless steel cutlery, which ruins the delicate taste of caviar. Surely the restaurant and the server should of been aware of this? We were trying to order champagne and were told they only had “two of the nine selections available.” We later ordered a bottle of red which they were also out of. We also had to pour our own wine for the majority of the dinner as the server rarely checked in on us. A couple at our table ordered a dozen oysters, six of them has broken bits of shell in them. We decided to skip mains as we were all fairly disappointed so far and didn’t want risk further disappointment with the entrees. While the restaurant did not seem busy it was certainly very unkempt, dirty plates and napkins sat on tables the entire time we were dining. When we were leaving we passed a table in the middle of the restaurant that had multiple dirty plates dumped on it, with used crumpled napkins strewn on top. Certainly not a polished atmosphere, nor was the service or experience up to any sort of standard. It was nice. The food was good. Nothing about my experience left me wanting to rush back for more. I found it expensive and I think there are better options in the city for the price. The food was excellent as always. The music was quite loud at first, but they turned it down. Very satisfying. Professional service by staff who knew the menu well. Food was delicious. Nice to see full table linens and cloth napkins. Quite pricey but great food. Disappointed by the ambiance. We were expecting a high class, formal experience but the majority of the patrons were in very casual attire. It was quite noisy and there were a fair number of children. Service was a little slow for drinks but great for food. Our server was not fully engaged and did not have correct info on the meal (for example, he said the vegetables were Brussels sprouts, but broccoli is what came out). 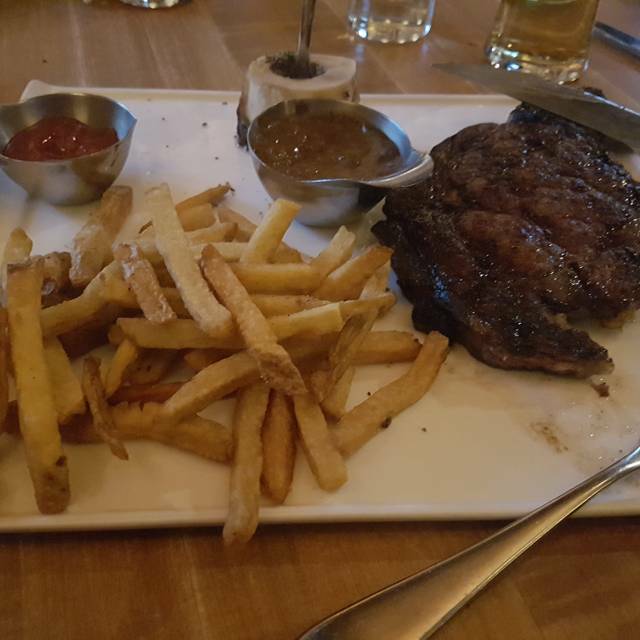 The steak was decent and cooked properly, but the overall value was ok.
2.5 hrs to dine with first 15 min to have someone put water and ask for drinks then another 15 to get drinks. Missed appe and had to ask for bread, for pepper....that isn't fine dining. Otherwise great experience with faster servicr would be better. Food and service were amazing. As it was the Valentine's weekend it was busy, but I expect that this restaurant is always busy ;) Service was amazing. it was quite loud, as the the place was completely full, and the way that the tables are laid and the dining room is designed it is inevitable. I am not sure what could be done to change that - perhaps more booths, or baffling in the ceilings, or white noise machines? Would still recommend this restaurant and will definitely return. Seafood was a little disappointing. The king crab legs were overcooked and dry. The mussels weren’t very fresh. The steak was good though. Worst dinning experience by far. My girlfriend and I had a reservation at the place. Upon arriving, we waiting between 10-15 mins for someone to come and ask us if we had a table. There were servers and workers walking around consistently, walking past us and not even acknowledging us. We didn’t even get a hello. After waiting patiently, the manager finally arrived and apologized for the delay and that he would get us the best seat in the house. He said everyone was being rushed and things weren’t going smoothly. He offered us a drink on the house, and mentioned that he would come and check on us. We were seated in a very tight space, and the waitress had no idea what she was doing. She didn’t offer us any water initially, we waited quite a bit before she came up to us. She came to our table, and asked us if we need help with the menu as she didn’t remember if she already went over it with us. We told her no and her response was ‘oh I’m sorry, things are just all over the place’. Then she proceeded to ask us if we decided on drinks with no drink menu. Once she realized that she hasn’t done anything yet, she says she’ll grab us a drink menu, looks over at the couple on our right and asks them for their drink menu as they said that they didn’t have enough menus for everyone. They said to the couple, if you need the menu, it’s just next door. We waited 20 mins for the manager to come and talk to us but he never showed up. This is when we decided to walk out. I’m appalled by this kind of service. We have never been treated like this on such a occasion and my girlfriend was pretty upset about all of this. I will not be recommending anyone to this restaurant nor will I ever return as the workers there lack basic serving skills and behaviour. Great food and service. Good dinning atmosphere, price is also reasonable. Our server Brad was great. One persons steak was way over cooked the other( different typed steak was undercooked) it seemed Theo take a long time to get our food and our server didn’t have any help. It was my wife’s birthday. They sat us near the fireplace. From the time we sat to the time our meal arrived was very good. The staff were knowledgeable and friendly. I will be back with my wife again in the future. My go to when i want a great night out and perfect meal. Outstanding menu, excellent service and good selection of wines! I would recommend for oysters, fresh and very tasty. Otherwise, there are much better steaks in town. We started with a prolonged wait to get a cocktail, while we were seated in the lounge. We actually got our oysters served before drinks came out. The drinks were weak. My wife has onion allergy, which we told the waitress. 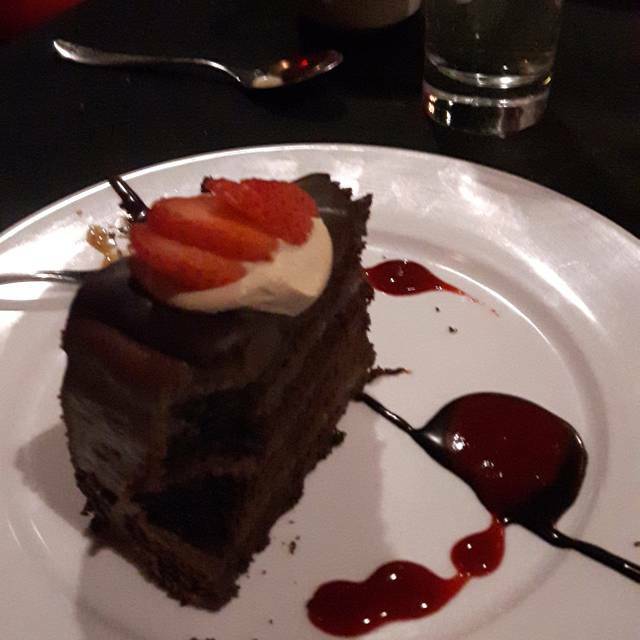 The only thing the waitress did well was take my wife's meal off the bill because she forgot to tell the cook. The whole time there were only three tables seated. My steak was ok but for one of the more expensive steaks in town, I'd go elsewhere. 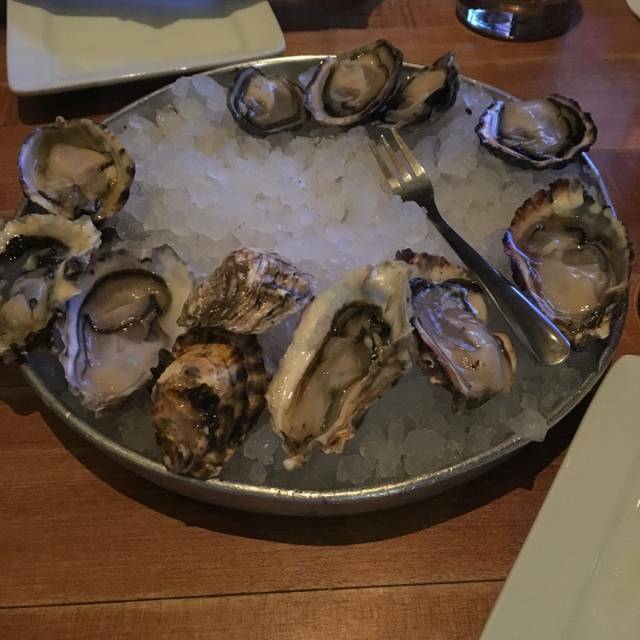 In summary, service sucked, drinks sucked, meal was mediocre, oysters on half shell phenomenal. Go for a beer and oysters, go elsewhere for dinner. We were there on a Tuesday night to have a quiet birthday celebration. Decided on sampling all the east coast oysters DELICIOUS. Went on to giant prawn cocktail, steak bites and a lovely bottle of Pino Grig. The mushroom plate we had was not hot (warm only) although served in a "hot cast iron skillet). It was Ok but not near as good as the rest of our food. Chocolate desert and a glass of Port and we were on our way. All in all excellent! !